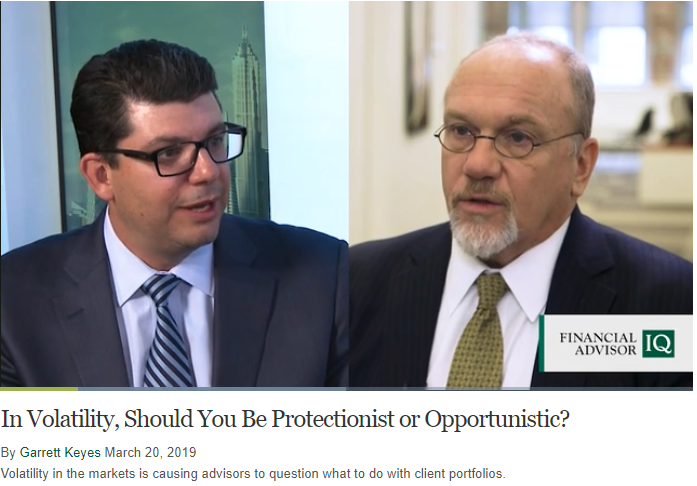 Garrett Keyes, a reporter at Financial Advisor IQ, spoke with two experts, one being our very own Jay Pestrichelli, about how to handle market swings. 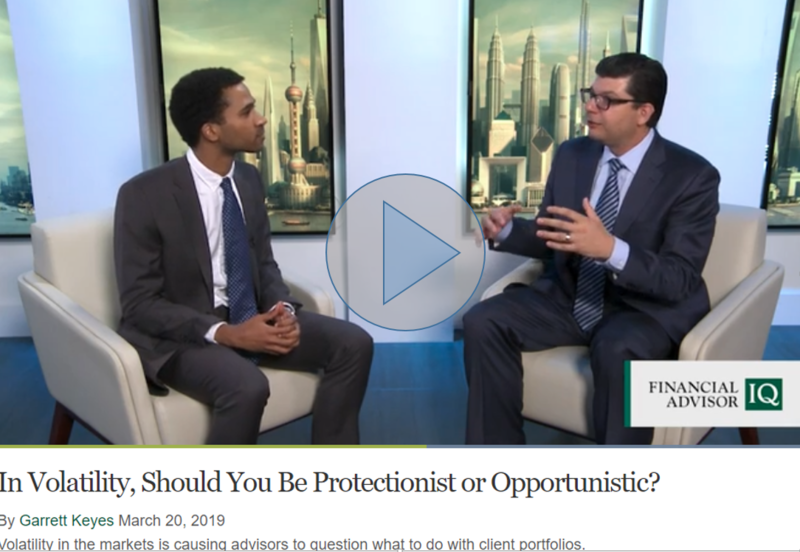 Really when the topic of how to protect the downside in portfolios the go to answer typically is diversification. The idea of using assets that all don’t act alike and are not correlated. The challenge for this approach for clients is that sometimes diversification fails when they need it most. Fixed income is also often mentioned as the magic ingredient of a portfolio. While it historically has experienced non-correlation, yields currently may not provide any real return on a year by year basis. Generally, over longer periods of time an investor’s return on things like treasury bonds has looked more like its yield which isn’t much right now. Plus, they have more risk in the case of rising rates. Don’t get me wrong, ZEGA uses bonds. But instead use the interest or dividends to help fund the cost of options utilized to protect portfolios. Thinking again about diversification alone, in the worst of markets all the sectors and regions experience downdrafts across the board. Now more than ever options are accessible to advisors and their individual clients. Transaction costs are at all time lows and things like S&P 500 Index options and SPY ETF options are incredibly liquid as volume continues to grow. One important point before we refer you to watch the video below is that hedging is an ongoing strategy. Meaning, you don’t want to wait until markets are selling off to put on hedges. It should be an all-weather strategy where a systematic process of getting long the market while always being hedged. This means you can strive to capture the majority of the upside while avoiding the majority of the downside. Often when markets are moving higher the cost of hedging is at its lowest point. If you have clients that are fearful of investing near market tops, this is an excellent way to assuage those fears since they have embedded protection. Hedging is about putting in a defined floor in the equity portion of the portfolio, not simply hoping that assets stay uncorrelated and don’t all go down.